The fusty smell is intoxicating; the visuals are enticing. Aging paper emblazoned with new wave screen printed designs and hand-stencilled names of old music venues trigger memories of youth and vigour. You recall the stale beer odour and the waft of cigarette smoke; lyrics verbatim of favourite songs; the leaner, nimbler body you once occupied and the good times. All those memories, because on a nondescript desk in the backrooms of State Library of Queensland is an assortment of music posters promoting gigs and festivals from 1975 to 1995. The posters, as a piece of design history, also reveal the remarkably inventive Brisbane arts and music scene over that 20 year period. Dr John Willsteed, award winning Australian musician and sound designer turned QUT Music lecturer, is progressively collecting these music posters as part of the 2016 Letty Katts Award for his project Street Life: Posters and their role in the Brisbane music scene 1975-1995. 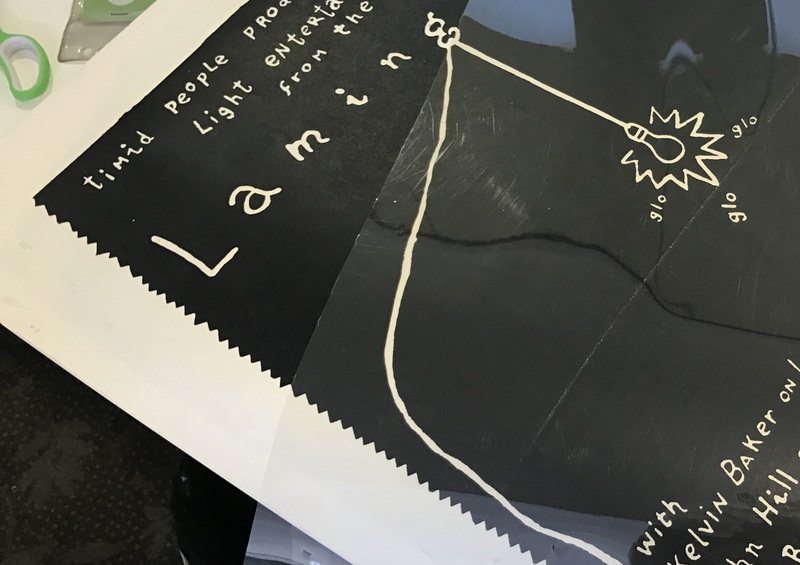 “This project hopes to drag the old posters that live under beds and in tubes and boxes, up into the light. These posters represent fantastic stories of young creative lives, and I want to help to tell them,” explained Willsteed. Indeed the posters are the essence of Brisbane – The Riptides, The Lamingtons, the Upsets, 4ZZZ radio station, Livid Festival and of course the Go-Betweens –and emblematic to independent alternative rock or punk music that define time and place. What do you think the design of the music posters tells us about the era or even the people or bands that made them? “The period I’m looking at (1975-1995) started out strongly influenced by a sub-cultural wave of DIY thinking. The posters were designed by the band or by artists who knew the bands well – it was a very small scene,” explained Willsteed. It is fascinating viewing the diverse array of music posters in their entirety. Brisbane-based designer Jennifer Marchant leafed through the posters in SLQ’s collection and remarked on the many and varied techniques used in producing the posters. “The spontaneity of many of the posters in the collection is refreshing in comparison to the often overwrought and technically slick commercial posters of the day. Their look confirms the feelings of the times – quick, imperfect and urgent,” said Marchant. Willsteed, who studied architecture at one point in the mid-1970s, said the process of putting together a gig poster changed all the time, just as the music did. When prompted to name his favourite music poster, Willsteed is charmingly diplomatic. Willsteed has accumulated about 200 posters and 100 handbills, some which will be selected for SLQ’s collection. But the posters are showing their well-worn age. As throw-away items, the designers and makers of the music posters had no inkling their work would be gathered as part of a library collection. Archival quality was not a priority for these young creatives, as the posters were utilitarian, one-use items stuck on walls with sticky tape, printed on whatever was cheap (or free) and using mediums that were easily available such as fluoro highlighters, felt markers and water soluble inks. 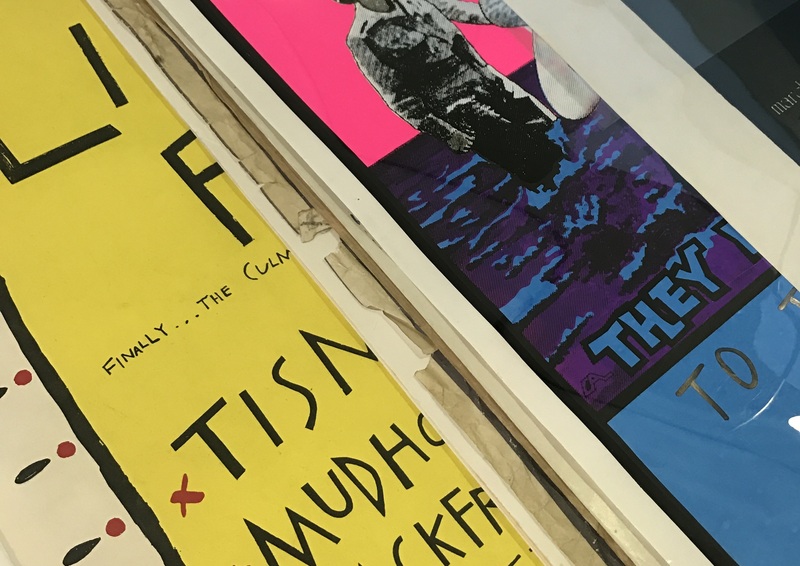 For example, with one punk music poster, Loubser said that it was washed in a mild chemical solution to neutralise the acid in the paper and to guard it from additional acid damage. 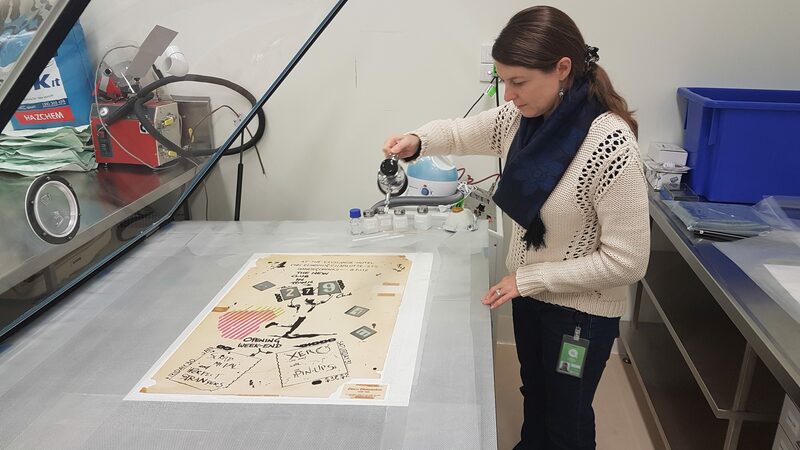 The process of managing the music posters, from acquisition to conservation, is the natural progression of making a definitive collection – one which Willsteed hopes will present a visual slice of Brisbane history that is available to everyone. If you want to learn more about music posters and their role in the Brisbane music scene 1975-1995, attend Street Life presented by Dr John Willsteed.